Every time I mention AMBITION people automatically relate it to GREED. That seems to be a popular misconception, but it has absolutely nothing to do with MONEY – that’s just a result. AMBITION has to do with PURPOSE. Chances are, if you wake up in the morning and go to work/school, you have AMBITION. If you play sports or are into fitness, you have AMBITION. If you want to become better and succeed at something YOU ARE AMBITIOUS. 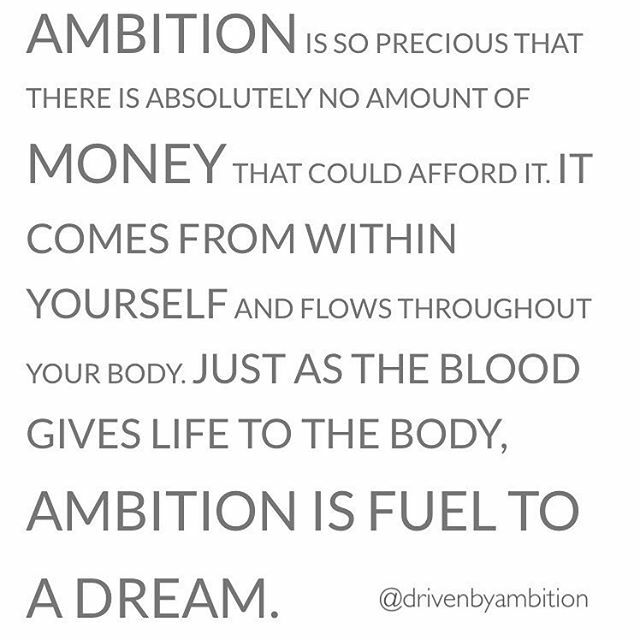 Ambition is Fuel to a Dream.